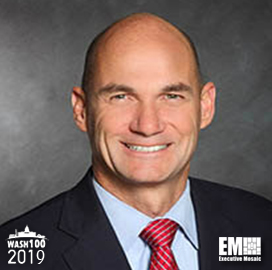 Executive Mosaic is honored to name Tom D'Agostino, president of Fluor’s government group, as an inductee into the 2019 Wash100 — Executive Mosaic’s annual selection of the most influential voices in the government contracting arena — for securing multiple contracts and programs to build the company. This honor marks the first Wash100 Award for D’Agostino. D’Agostino supervises Fluor’s sales and delivery of value-added services to government agencies in the U.S, Canada and the United Kingdom. During his tenure, the company secured multiple contracts with U.S. government agencies. In 2018, Fluor Federal Petroleum Operations received a potential $2B contract extension from the Department of Energy to provide management and support services for the country’s emergency crude oil supply through March 2024. D’Agostino said the award allowed the company to demonstrate its experience in the oil and gas sector and support national security needs. Fluor, based in Irving, Tex., also won a potential $145.7M contract in December 2018 to build a facility for the U.S. Army to store and maintain weapons systems. The Navy selected the company to support multiple programs, including a $13B award for propulsion work and another potential $302M contract for base operations support. Fluor also gained spots on various contracts to support government projects with industry partners. A team including Fluor, ACS Infrastructure‘s Canadian arm and Aecon Group is working on a $4.4B project to build, operate and maintain a bridge connecting Detroit, Mich., and Windsor, Ontario. Another joint venture involving Fluor, BWX Technologies and Jacobs is charged with decontaminating and decommissioning the Portsmouth Gaseous Diffusion Plant under a $850M contract modification. Walsh Construction is also working with Fluor to design and build railway infrastructures for the Chicago Transit Authority Red and Purple Line modernization program – a $2.1B project. D’Agostino possesses more than 35 years of experience in the public and private sectors. He served in the U.S. government as head of various nuclear programs and helped the Department of Energy with program planning, budget formulation, operations and technical program management. Executive Mosaic congratulates Tom D'Agostino and Fluor’s government group for their selection to receive this award.